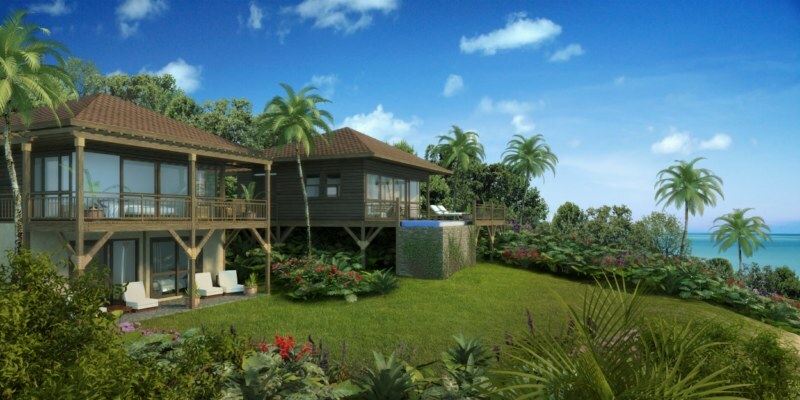 Las Perlas, Panama – Grupo del Sol, one of Central America’s most respected and experienced developers, has partnered with the renowned Mexican architectural firm GVA & Associates and Dr. Dan Chiras of The Evergreen Institute to create an exclusive island destination located off of Panama’s Pacific coast. Part of the pristine Las Perlas Archipelago and overflowing with rich natural and cultural wonder, Isla Saboga is a $18 million master development that spans 755 acres and committed to preserving the integrity of this island setting. Already attracting several travelers and investors in search of an exclusive eco-luxury resort, Isla Saboga’s first phase, El Encanto, which offers nature, inspired Oceanfront Estates and Beach Treehouse Villas, is already more than 40 percent sold. Grupo del Sol is actively seeking like-minded developers and investors who are interested in creating new projects on the island. Only 15 development sites ranging from 1 to 15 hectares (2.5 to almost 40 acres) along the coastal rim of the island are available for development. These sites have specific land uses for condominiums, townhouses, fractional residences, single-family estate homes, and both luxury and boutique hotels. A marina site is also available. Grupo del Sol is giving possible investors direct exposure to a variety of properties at different stages of development ranging from land-only opportunities to sites with development plans and drawings already in place. Sub-development land parcels have been made available for sale at wholesale pricing with attractive terms for other developers, such as flexible finance plans for the lots, which is very appealing considering the current economic climate. A very important component of the master development is the infrastructure plan, which Grupo del Sol has already implemented on the island. The plan includes initiatives for roads, water, sewage, electricity and plumbing system, following the necessary standards to preserve the environment and making it a “developer-ready” land for upcoming investors and sub-developers. The water reserve, which is already in place, obtains fresh water in three ways; collection of rain water that is purified and stored in tanks; a freshwater well which gathers water from hundreds of meters below the surface, and a desalinization plant. Isla Saboga’s plan to reserve water will provide an abundant supply of fresh water on the island. In addition to the power plant already there, Group del Sol and its team of experts is studying various energy alternatives on the island. Other eco-friendly initiatives include the repopulation of confiscated birds and iguanas as well as the replanting of trees and greenery. Isla Saboga’s first eco-luxury development, El Encanto is discreetly nestled among tropical hardwood and rolling hills by the glistening ocean and will showcase Oceanfront Estate Villas and Beach Treehouse Villas, as well as, a boutique hotel and spa wellness center. Perfectly positioned towards the west to enjoy picturesque Pacific sunsets, the homes are built in harmony with the surrounding environment and anticipate reaching Platinum LEED certification – the highest standard for environmentally-friendly construction. Five Oceanfront Estate Villas and 33 Beach Treehouse Villas present residents with an opulent tropical lifestyle and are slated for completion in mid-2010. All of the homes will feature an open great room, spacious kitchen with granite counter tops and stainless steel appliances, certified tropical hardwoods, as well as pergola-covered decks that allow for spectacular views. Isla Saboga is member of the Camara de Turismo Sostenible de Las Perlas (CTSLP), which is responsible for the interests on environmental, social and economic interest of the Archipelago, and follows their regulations and initiatives. 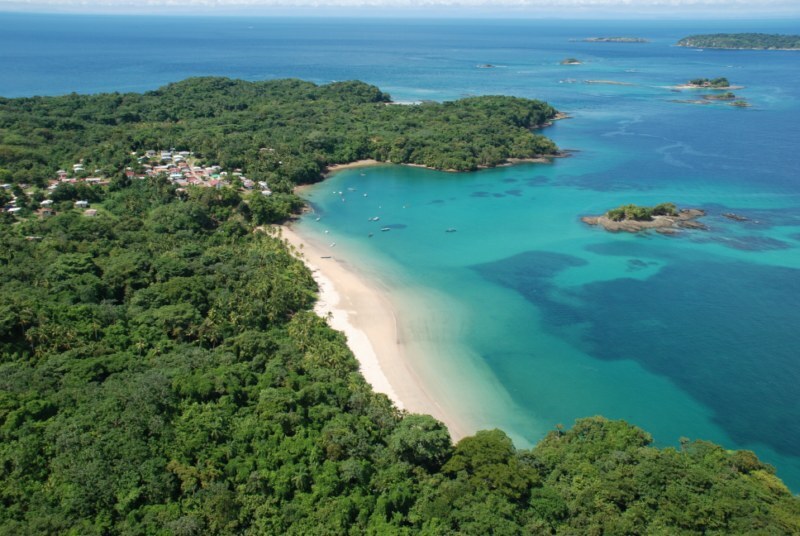 Isla Saboga also follows the Special Management Zone established by the Maritime Resources Authority of Panama (ARAP) to protect the marina resources of the area. Additionally, Grupo del Sol is establishing a set of covenants, codes and restrictions (CC&R) that will be applied to all of the architecture and construction on the island. The CC&R will be administered by a Regulatory Board and guarantees the standards in quality and most importantly, protection of the environment. Kimberley, British Columbia – The recent ground-breaking ceremony for the new $6-million Conference Centre and Paralympic Training Centre being built here at Kimberley Alpine Resort is proof that thorough market research is critical prior to investing in resort properties. At least that’s how owners at Mountain Spirit Resort and Spa, a resort development located next to the Conference Centre site, are feeling right now. Now that the Conference Centre officially opened Oct. 30, Mountain Spirit condo owners are optimistic that the influx of sports and corporate travel to the Conference Centre will increase the popularity of the resort’s optional rental pool. The year-round, $6-million dollar facility is designed with both disabled and able-bodied athletes in mind. It will include meeting rooms, an audio-visual department and a conference space to hold 500 people. Funding for the centre is coming from the City of Kimberley, federal and provincial infrastructure grants, a $300,000 grant from the Columbia Basin Trust and $150,000 from the Southern Interior Development Trust. The center is being built by New Dawn Developments (same builders of Mountain Spirit Resort and Spa) and is expected to be completed by October 2010. The conference and training center is expected to become a key economic driver for Kimberley. Leisure travelers and tourists have long contributed to the local economy, but business travelers have not. Conference delegates often fill hotel rooms during the shoulder season and mid-week travel when leisure travel is traditionally low. Conferences are also booked in advance, providing a secure source of income regardless of economic fluctuations. Research compiled by Vann Struth Consulting for the City of Kimberly pegs the daily spending of conference delegates at approximately $125 per day on top of the accommodation costs. The same research expects the conference center to boost spending in Kimberley by more than $5 million per year – more than double the current level. 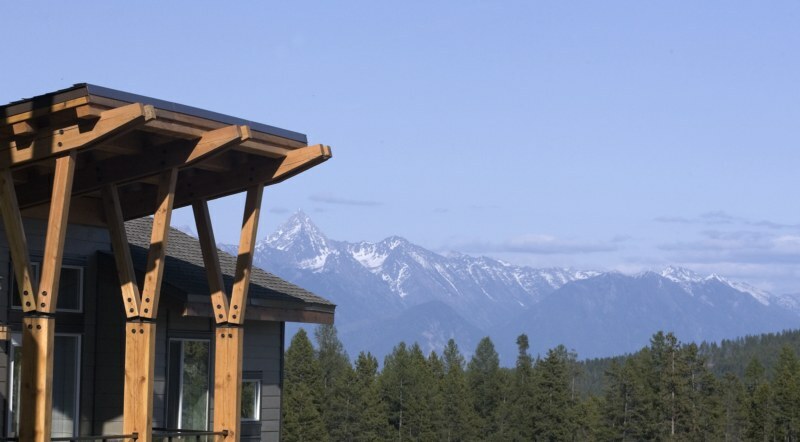 Mountain Spirit Resort and Spa features a true ski-in, ski-out location in the serene Purcell Mountains at the base of Kimberley Alpine Resort. In addition to the planned spa, the resort features fine dining, year-round outdoor heated pool and hot tub and fully furnished suites. Membership in the exclusive Resort to Resort vacation exchange program is included with every purchase. Activity is ramping up at Kimberley Alpine Resort in preparation for another outstanding ski season. Last season KAR received the Visitor’s Choice Award being voted the Overall Favorite Resort in the Pacific North West from onthesnow.com and the 2009 Best of Business Award for Ski Area in the East Kootenay Region. The mountain is set to open on December 19 with a preview weekend set for December 12. Special prices are available on selected suites until December 19, according to the developer’s representative. For example, one studio, two 1-bedroom and eight 2-bedroom suites are included in this offering with pre-season savings of up to $94,000 for whole ownership and up to $16,000 on quarter ownership purchases. Until Dec. 19, 1-bedroom suites start at $398,900, 2-bedroom units at $458,900 and quarter ownerships on a 1-bedroom suite go for $98,900.